HP has dabbled in many operating systems over the last few years, but the company always seems to come back to Windows. The company is building a mobile device strategy around Windows 10 Mobile and is slowly cutting its reliance on Android, once high on the company's list for tablets and PCs. HP has discontinued low-cost Android tablets, and two remaining enterprise tablets feature aging hardware and an old version of the OS. Company executives have said future mobile devices will be built around Windows 10 unless there's significant new demand for Android. HP is following the lead of Dell, which has cut Android devices to focus on Windows. Lenovo, meanwhile, still sells Android tablets and smartphones but is cutting its number of Android tablets and increasing its number of Windows 2-in-1s. The goal for HP is simple: to unify products around one OS, much like Apple. That's a challenge facing Samsung, with its PCs on Windows, tablets and smartphones on Android, and wearables and smart TVs on Tizen. Samsung is still working to put the pieces together to ensure all devices communicate flawlessly, but the company claimed progress during the recent launch of Galaxy Note 7. 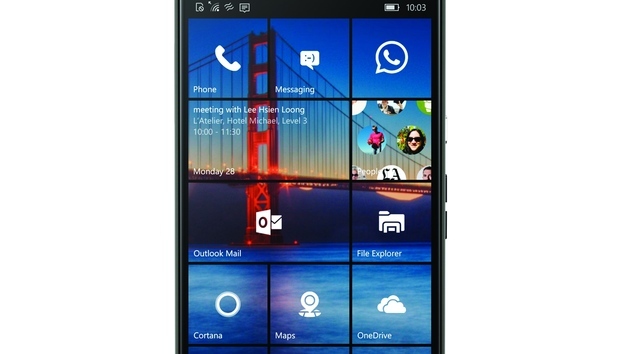 HP is re-entering the smartphone market its Elite X3 handset, which runs Windows 10 Mobile. The company is building its smartphone strategy around Windows 10 Mobile, which had just a 0.7 percent market share in the first quarter, according to Gartner. In an ideal world, HP could have made Windows 10 Mobile and Android smartphones, but Windows aligns better with the company's PC, virtual reality, and augmented reality strategy, said Michael Park, vice president and general manager of mobility at HP, in an interview. Park recognizes Windows 10 Mobile doesn't have a giant market share, which could make smartphone sales a challenge. But HP wants to provide a high-margin, premium product for office workers already running Windows PC apps. HP says Elite X3 can be a PC replacement with help from cloud services and accessories. Users will be able to run Universal Windows apps on PCs and smartphones. HP also plans to bring augmented reality apps on HoloLens to the Elite X3. "We're not trying to hit the volumes and scales of Android," Park said. "We're going after IT shops. There are a lot of people in the commercial domain who are not using Pokemon Go." HP has said it doesn't want to sell low-cost devices and has cut many Android devices in the process. But the same strategy doesn't apply to Windows -- this week it announced low-cost Stream notebooks running Windows 10 starting at US$199. Windows 10 is also at the center of HP's tablet and PC strategy as the OS glues together all product lines, said Mike Nash, vice president of customer experience and portfolio strategy at HP, in a recent interview. "It's very difficult to build differentiated $99 Android tablets," Nash said. If there's an interest in Android, it's through Chromebooks. HP offers a handful of Chromebooks -- which run Chrome OS -- and those devices will be able to run Android apps. As customers "upgrade the OS on Chromebooks over time, they will run those [Android] applications on that device," Nash said. HP has dabbled with Android in PCs under the Slate product line. In 2014, the company shipped an Android laptop/tablet hybrid called Slatebook. That year, the company also shipped the Slate 21, an Android all-in-one desktop PC. The company has even put Android in printers. HP has worked on mobile printing for Android and iOS devices, and those efforts should continue. Wireless printing is becoming a standard feature in HP's printers, and mobile printing is growing. While Android seems to be off HP's map for now, it has an open-door policy for software and technologies. If a customer needs an Android device, HP will offer the OS, Nash said.